Why Ben Steiner devotes his time to studying archives rather than standing on the activist front lines. The status of women in the Jewish tradition has long informed my academic initiatives. For my senior thesis as an undergraduate at UCLA, I studied the origins of the Jewish feminist movement in the early 1970s, and its impact on the development of American Jewish life. More recently, as a master’s student at the Jewish Theological Seminary, I shifted my focus to the relationship of the Conservative movement to the agunah question in the 1950s. I found that Jewish feminism and the earlier Conservative halakhic activism are in fact more intimately linked than I initially expected. Some background: While today the plight of agunot is associated with activism among Orthodox Jews, response to this plight in mid-century America was more characteristic of Conservative rabbis. In 1953, the Rabbinical Assembly (RA) of Conservative Judaism, in concert with the faculty of the RA-affiliated Jewish Theological Seminary (JTS), adopted a prenuptial contract of their own, dubbed the “Lieberman clause.” Should a man refuse to give his wife a get, the clause, on paper, granted the Jewish court authority under civil law to arbitrate the dispute and exact compensation. People ask me why I’m so obsessed. Of all the historical topics, why Conservative rabbis and why agunot? Most assume it’s an activist stance. Studying about agunot of the past must mean an agenda for the present. I must be the guy who pickets outside the house of the get refuser. I must be the one who lobbies for halakhic change. A political agenda must inform my scholarly work. Though I have deep sympathy for agunot, I can’t claim to be an activist. My hours are spent in the archives and not on the front lines. But I am motivated to study igun by what I consider a feminist bent, if not an activist posture. Here alone, amidst all the examples of gender imbalance in the Jewish tradition, is a reality that rabbis for centuries have recognized as a problem. In that sense, my motivation is not so much “How can I free agunot today?” but rather, on a more personal level, “What did it mean for men to fight for the cause of Jewish women before the second wave – before the rhetoric of egalitarianism and gender equality emerged?” In that sense, my scholarship is a quest to find my place in the past. Here I uncovered a welcome chronological coincidence. On May 17, 1954, the men of the Conservative Rabbinical Assembly convened to discuss the new Lieberman clause ketubah, adopted for use the previous year and now slated for use by Conservative laity. That same day, the Supreme Court of the United States proclaimed segregation in public education unconstitutional. The unanimous Brown v. Board of Education decision intensified mounting civil rights agitation, long confined to the margins, but now increasingly at the center of American social discourse; no longer could racial tensions be ignored. Yet the Brown verdict did more than just militate against school segregation. If, as Chief Justice Warren wrote, separate educational facilities were “inherently unequal,” then Brown rent asunder a major ideological premise of segregation of all kinds; the decision was a model for liberation. Brown was the rhetorical watershed. As the ethical implications of the Supreme Court decision, now reinforced by the egalitarian mandate of the second wave, permeated into Judaism, no longer could the gender-role differences proscribed by tradition go unquestioned. The Jewish tradition regarding women, once far ahead of other cultures, has now fallen disgracefully behind in failing to come to terms with developments of the past century… The social position and self-image of women have changed radically in recent years… It is not enough to say that Judaism views women as separate but equal, nor to point to Judaism’s past superiority over other cultures in its treatment of women… If the movement… denies women opportunities to demonstrate [their leadership] capacities as adults, it will force them to turn from the synagogue, and to find fulfillment elsewhere. Ezrat Nashim demanded that Conservative rabbis embrace egalitarianism, and that the Jewish Theological Seminary admit women. The “inherent” inequality of the separate-but-equal paradigm, articulated by the Supreme Court twenty years prior, lent gravitas to these grievances. The Lieberman clause development process preceded Jewish feminist discourse. If Brown marks the rhetorical departure of the Jewish feminist narrative, it provides an apt coda to the first chapter in my studies. What did it mean for me­n to fight for the cause of Jewish women in the years preceding the Brown decision, two decades before feminists brought the insights of the second wave into the Jewish conversation? What did gender “equality” signify to the Conservative rabbis? The answer is for a different article. But the quest has been the principal impetus of my academic journey. Men created written history and benefitted from the transmittal of knowledge from one generation to the other, so that each great thinker could stand on the shoulders of giants, thereby advancing thought over that of previous generations with maximum efficiency. Women were denied knowledge of their history, and thus each woman had to argue as though no women before her had ever thought or written. Women had to use their energy to reinvent the wheel, over and over again, generation after generation. If men denied women their history, feminism drew strength from women past in their quest for a social change; the historical became political. Yet not all men in all contexts denied women their heritage. These instances must be considered – not to deny the legitimacy of contemporary activism – but rather to strengthen it by recognizing cries for justice embedded deep in the Jewish past. These were not feminist cries, to be sure. But they provide guidance and inspiration, if not a paradigm for change as men and women fight together for a more equal future. Benjamin Steiner, a Los Angeles native, graduated in 2012 from UCLA with a degree in history. He received a master’s degree in Jewish gender and women’s studies from the Jewish Theological Seminary in 2014. His master’s thesis probed the development, context, and significance of the Lieberman clause, an early effort by Conservative rabbis to ease the plight of agunot. 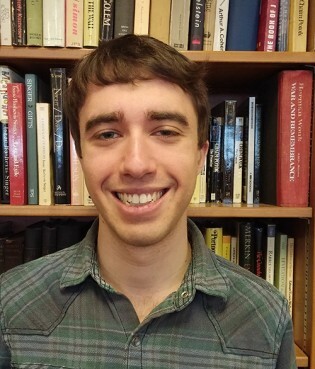 This year he is a fellow at Yeshivat Hadar, an egalitarian learning center in New York City.